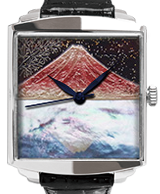 This watch has been listed in the「OTONA no Ippin」2018.winter（Shougakukan）. We exhibited at Kyoto Daimaru store "World Watch Festival 2018". Thank you for coming. We exhibited at FUJISAKI store "World Watch Fair". Thank you for coming. We exhibited at Kyoto Daimaru store "World Watch and jewelry collection". Thank you for coming. We exhibited and sold it at Kawatoku "Iwate Marche 2018". Thank you for coming. Annex Kawatoku "Enchanted Jewelry Fair" exhibited and sold. Thank you for coming. We exhibited at the Seibu Okazaki store "Satsuki no Kai" in Gamagori Classic Hotel. Thank you for coming. 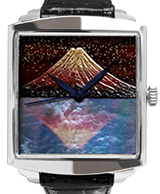 We exhibited at Mito Keisei department store "Decoration Exhibition" Japan Premium Watch Fair. Thank you for coming. We exhibited at the 85th Tokyo Gift Show. Thank you for coming. It is a new Makie Picture Watch scheduled to be completed in February. We exhibited it at Ueno Matsuzakaya. We also exhibited at "Excellent Watch Fair". Thank you for coming. At Daimaru Kyoto shop, We exhibited at "World Watch 2017". Thank you for coming. At Meitetsu main store, We exhibited at "World Watch & Jewelry Collection 2017". Thank you for coming. At Gamagori Classic Hotel, We exhibited at "Seibu Okazaki Store Autumn Prestige Fair". Thank you for coming. It is a new Makie Picture Watch scheduled to be completed in July. 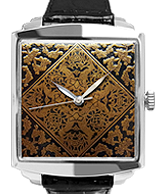 More popular Sharaku, Utamaro, Yoshinobu Nishikawa, Mushiro Hishikawa, Torii Toriya, Haruka Katsukawa Mamiko dial with motifs motif was further produced. It is a beautiful piece of shadow using all techniques of Taka-Makie. At Daimaru Kyoto shop, We exhibited at "World Watch Festival 2017". Thank you for coming. At Gamagori Classic Hotel, We exhibited at "Seibu Okazaki Store SATSUKI no Kai". Thank you for coming. At Morioka Annex Kawatoku, We exhibited at "Magical Jewelry Fair". Thank you for coming. At Seibu Funabashi store, We exhibited at "Prestige Watch Fair 2017". Thank you for coming. 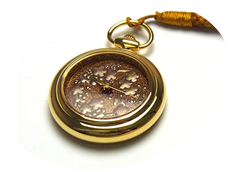 At Meitetsu Department Store, We exhibited at "Premium Watch Fair". Thank you for coming. 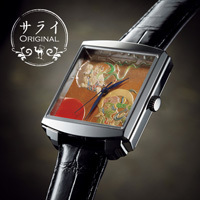 These are maki-e watches that will be newly released in the end of April. 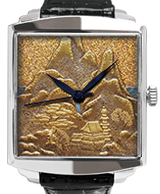 In this collection, there will be more watches with maki-e dials based on motifs from artworks by the popular artist, Jakuchu Ito. At the hotel Hanshin, We were at an exhibition-and-sale event at the Hanshin department store "Spring gem exhibition". Thanks to all who came! We were at an exhibition-and-sale event at the Hanshin Department Store. Thanks to all who came! 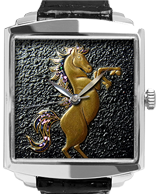 These are maki-e watches that will be newly released from the end of March to April. 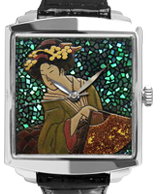 In this collection, there will be more watches with maki-e dials based on motifs from artworks by the popular artists, Jakuchu Ito, Katsushika Hokusai, Utamaro and Sharaku. We exhibited JOGA at the New Year's Holiday. We were at an exhibition-and-sale event at the Daimaru Department Store in Kyoto. Thanks to all who came! 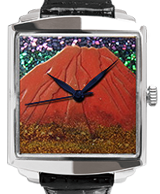 These are maki-e watches that will be newly released in November. 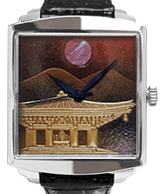 In this collection, there will be more watches with maki-e dials based on motifs from artworks by the popular artist, Jakuchu Ito. We were at an exhibition-and-sale event at the Meitestu Department Store in Nagoya. Thanks to all who came! These are maki-e watches that will be newly released in October. 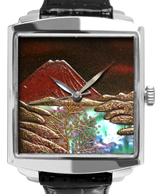 In this collection will be maki-e watches with paintings based on motifs from artworks by popular artists, Jakuchu Ito and Zeshin Shibata. We were at an exhibition-and-sale event at the Mitsukoshi Department Store in Nagoya. Thanks to all who came! We participated in an event that was organized by a hotel and was held at the Hanshin Department Store. 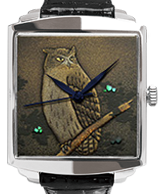 We are an established clock-and-watch shop with a dealership agreement with Joboji Urushi Workshop. 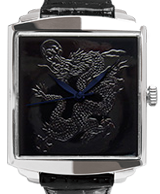 Combining the high-quality lacquer we obtain through our dealership with the technologies we have accumulated over more-than-30 years in the clock-and-watch business, we deliver beautiful urushi-lacquer clocks and watches from Japan to the entire world. 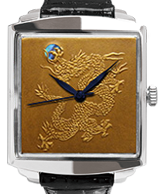 The Joga logo is based on a motif that combines the leaves and fruits of a Japanese lacquer (“urushi”) tree. Copyright © 2018 TM Planet All Rights Reserved.